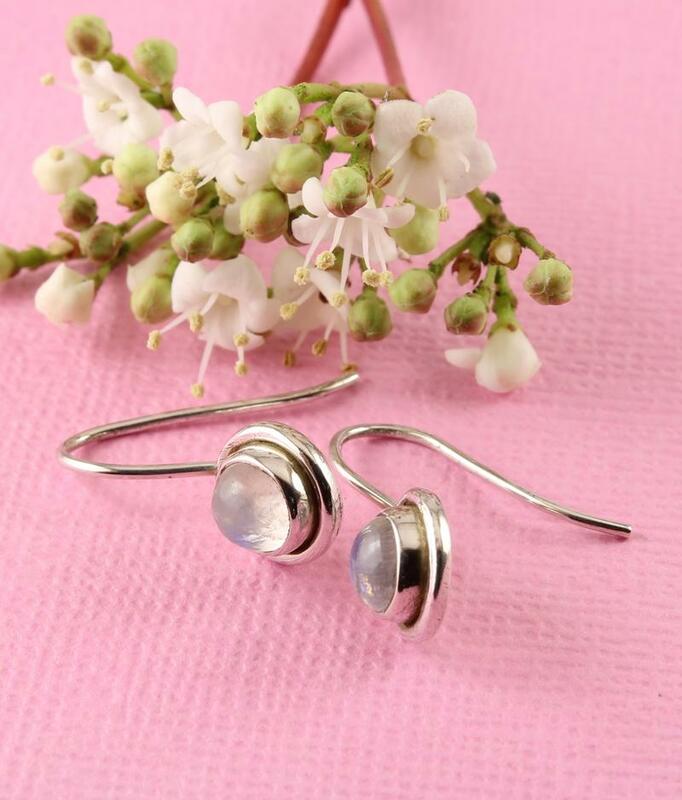 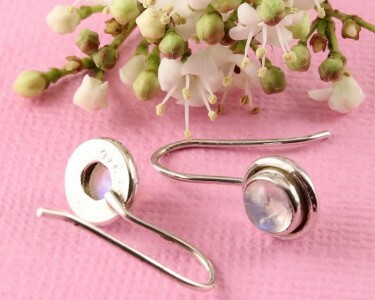 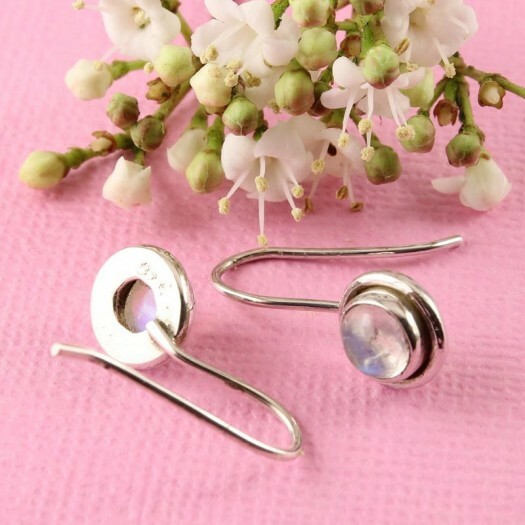 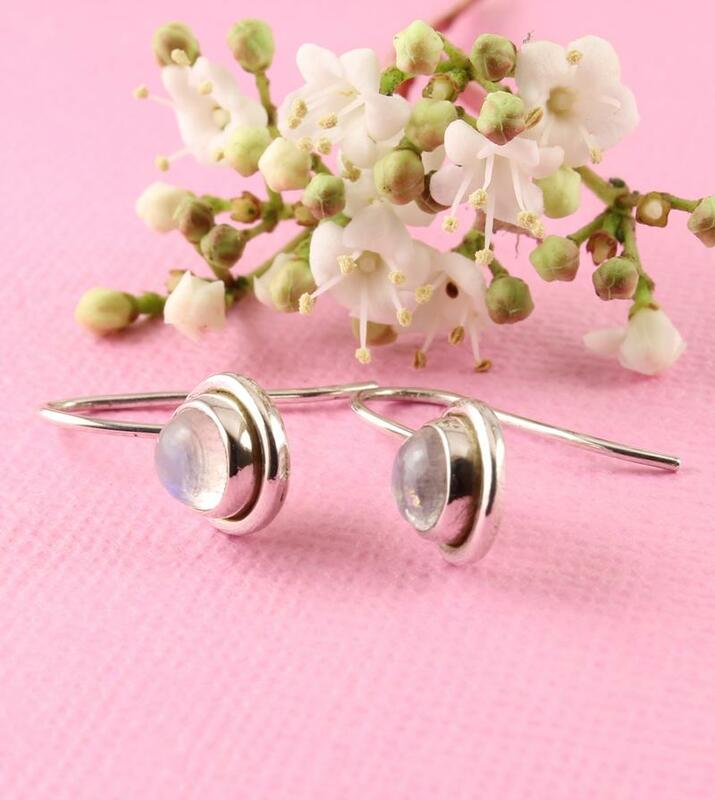 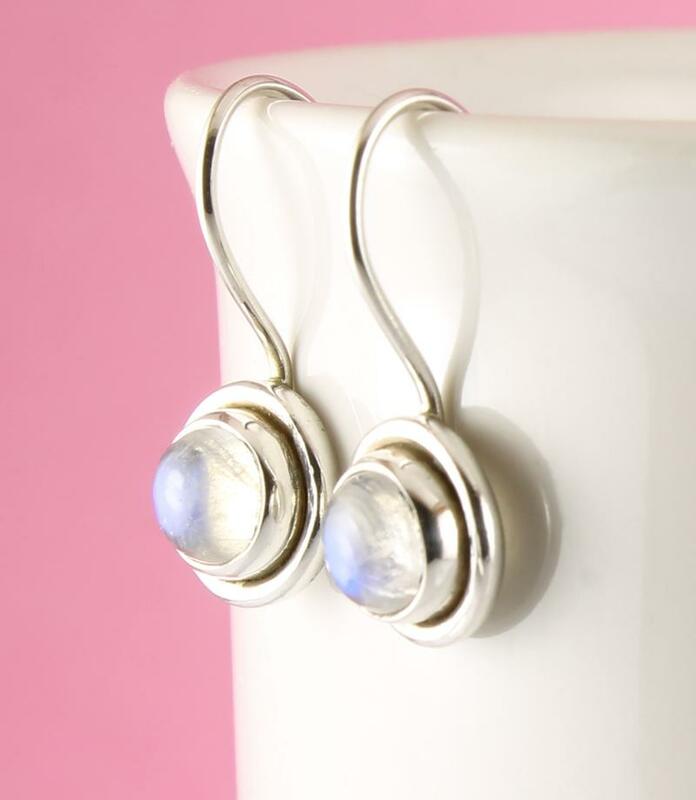 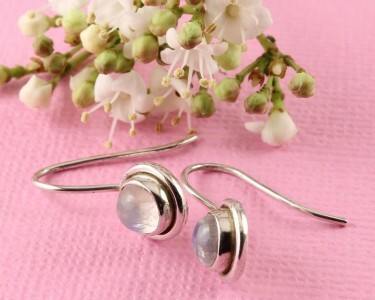 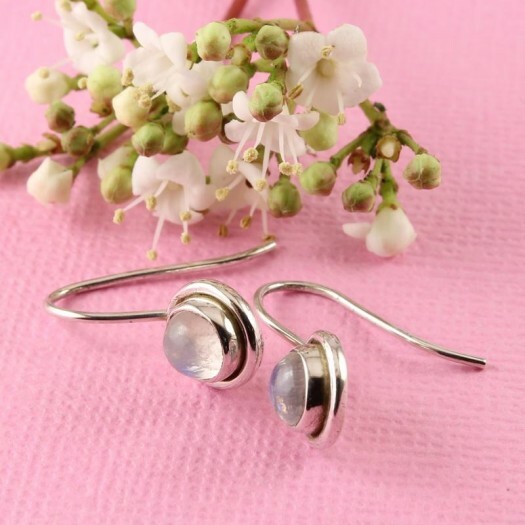 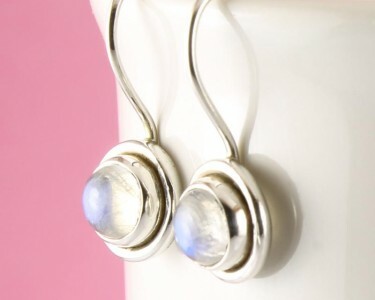 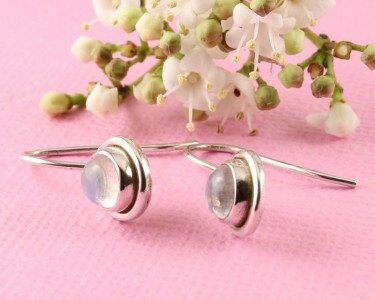 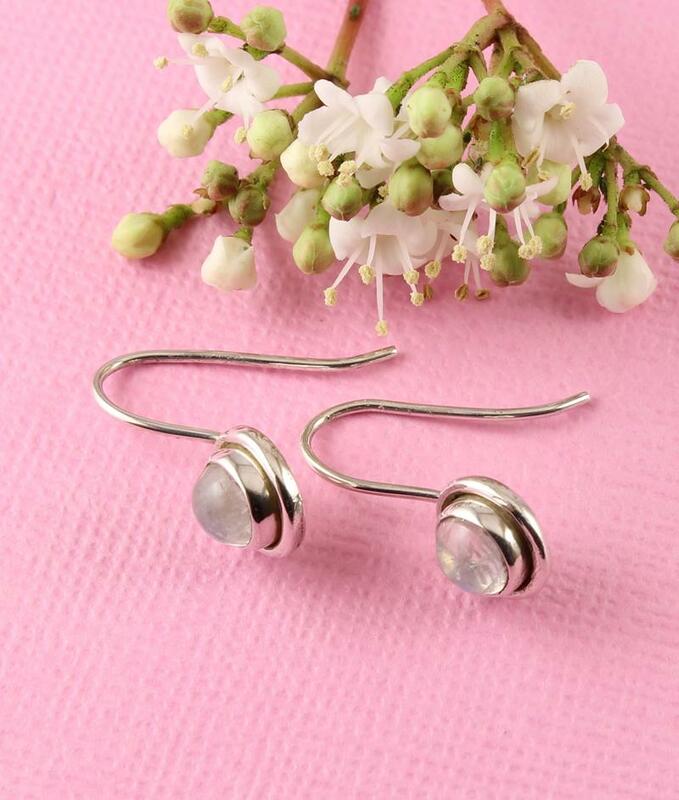 An engaging and surprisingly simple and elegant set of earrings, each featuring a round, polished, convex Moonstone gemstone set in a Sterling Silver petite flange bezel setting. 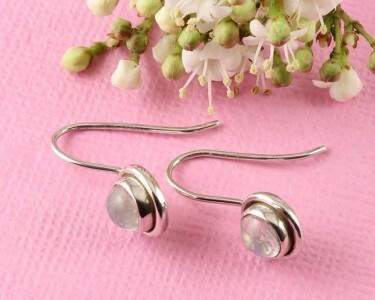 Fastened on fixed Sterling Silver hooks. 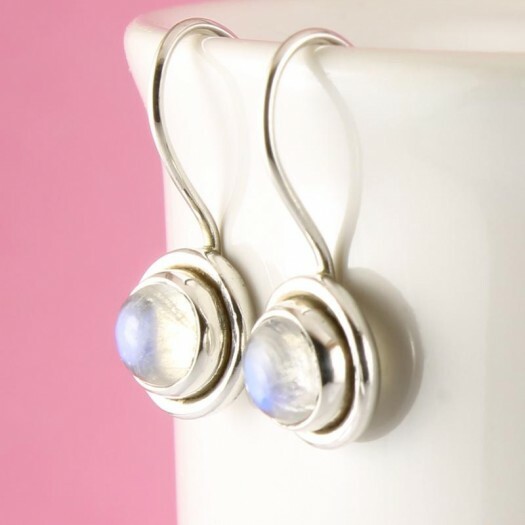 Like a shining full moon, these luscious Moonstone gems give off shimmering blue luminescent rays, known as adulaescence, after an early Moonstone mining site at Mt Adula, Switzerland. 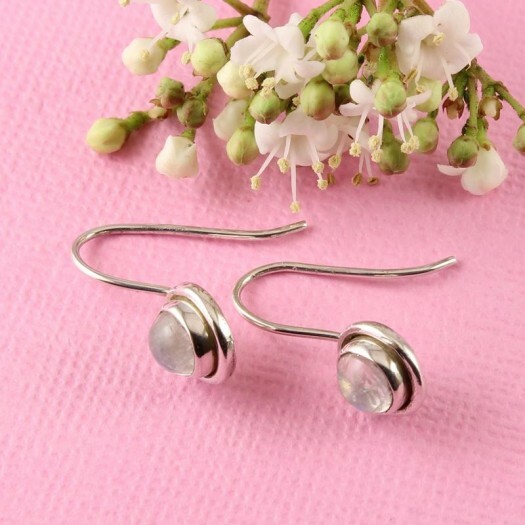 Wear It With : These refined earrings will entrance a totally captive audience. 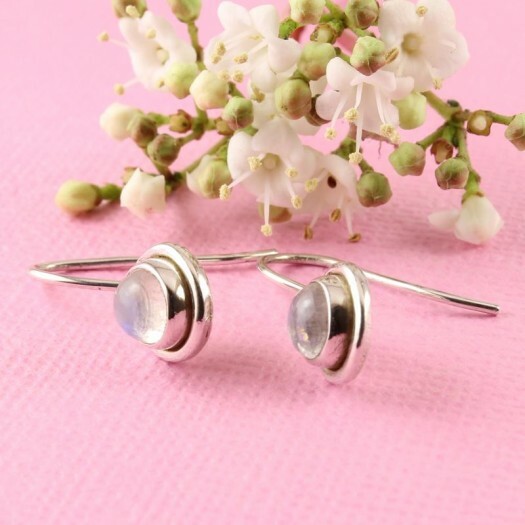 They are sufficiently laid-back to be worn with any of your outfit, and will naturally set off your darker shades, like black, navy, grey and burgundy. 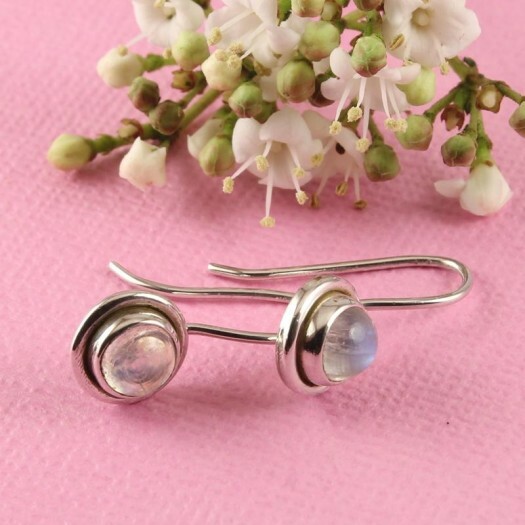 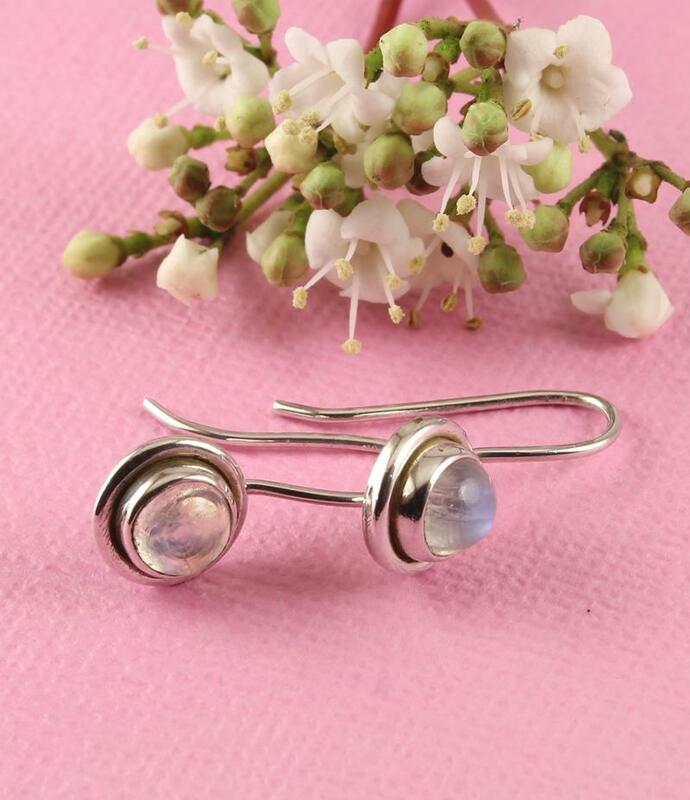 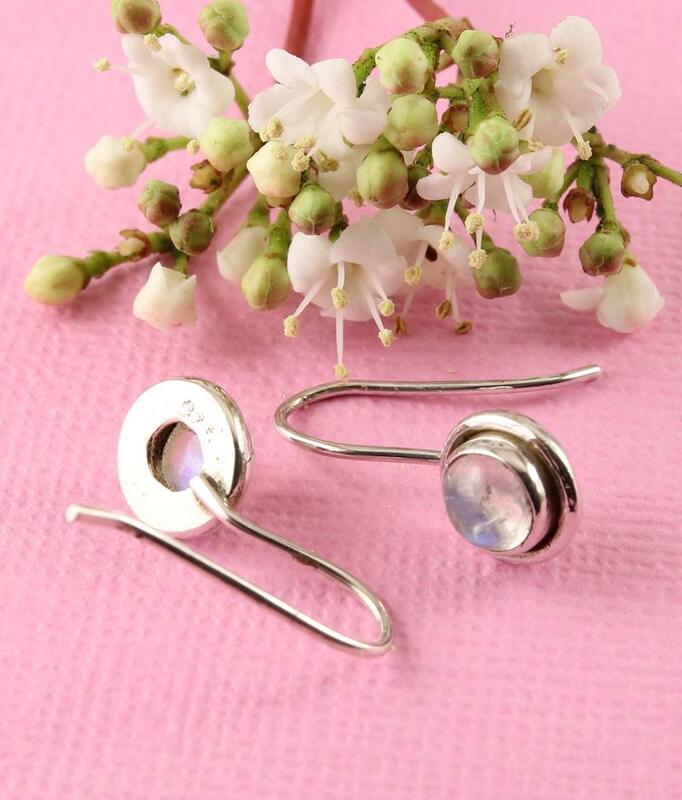 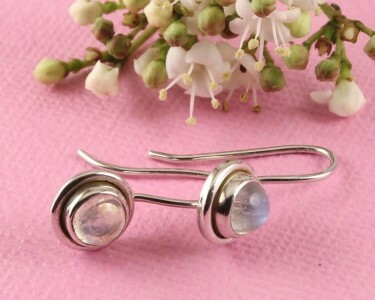 You will be able to provide a stunning match for your other Moonstone and Sterling Silver jewellery, with this alternative birthstone for the month of June.